The appearance of the door makes the first impression on the visitor. 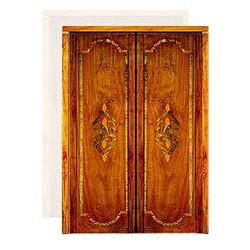 Our wooden doors inlaid with marble gives an idea of your subtle and elegant taste for class. 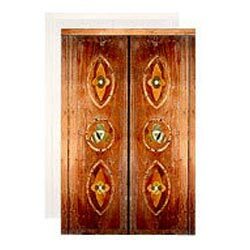 Choose the inlay doors for the perfect exterior looks. Bring a hint of creativity right with the first knock. 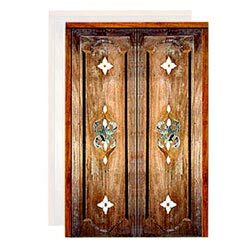 Get yourself this artfully decorated antique wooden door inlaid with stones. 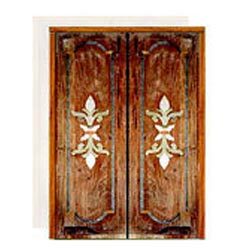 Words fail to describe the subtle beauty of this wooden door, which has been so artfully decorated with inlaid designs. After all, the first impression should be spell binding. Goes well with both exterior and interior. 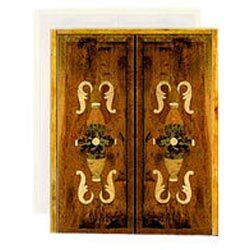 Welcome all the entrants to your house with this exquisite inlay work on wooden door and win praises for your choice. An exotic blend of colorful stones inlaid over the wooden door that shall leave everyone gaping at its enigmatic beauty. 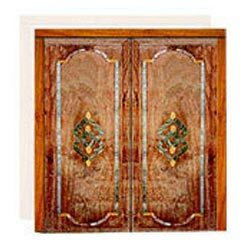 Here is a wooden door that is persuaded, by remarkable inlay work, to augment the splendor of the entrance to your house.